A little over a month ago, my brother texted me that he and his girlfriend were going to his first-ever spin class. Imagining my brother on a stationary bike among a group of (mostly) women pedal-pushing to house music was nothing short of hysterical. He’s the antithesis of a spin class–goer—a semiactive 30-year-old who can eat a family-size Jack in the Box meal with zero shame. Afterward, he sent me a follow-up message. I figured he’d be a little sore after the class. 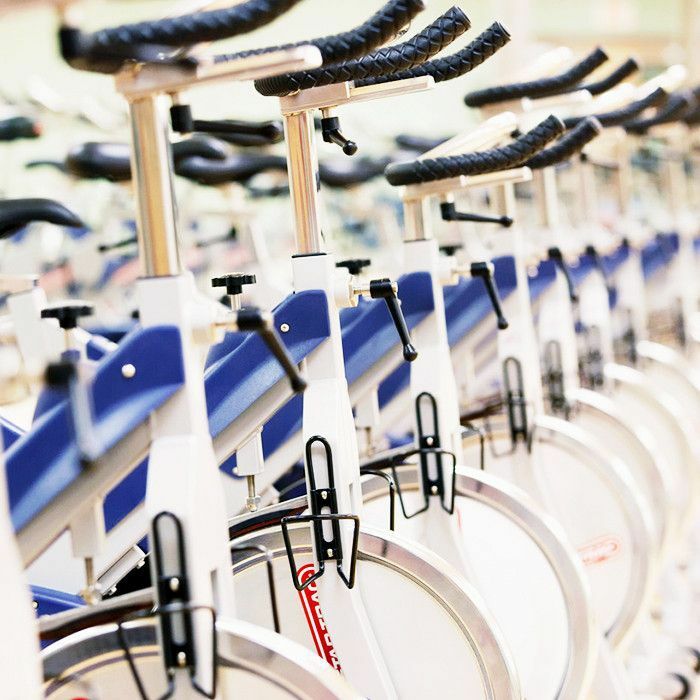 I’ve only been to one spin class in my entire life and remember my backside hurting the day after from the seat being wedged up in there for the better part of an hour. I tried to go a second time post-brunch but got a little too friendly with the bottomless Bloody Marys and was in no condition to spin, let alone hop on a subway. No wonder my brother’s instructor asked who was getting brunch after the class. Rookie mistake. What I didn’t expect, however, was just how sore he’d actually end up. As in admitted-to-the-ER sore. When I found out he’d been in the hospital for a few days because he couldn’t walk, I was in shock. Though at first I had to laugh. Were the doctors having a field day? Young Man Sent to ER After Girlfriend Brings Him to SoulCycle—it’s an Onion article waiting to happen. But then I heard the specifics of his condition, and they were no laughing matter. It’s called rhabdomyolysis. After strenuous exercise, the skeletal muscle may tear and leak electrolytes and other proteins into the bloodstream, leading to pain, swelling, dark urine, and heightened CPK levels (creatine phosphokinase, an enzyme found in the heart, brain, and skeletal muscle. When these proteins enter the renal tubes, kidney damage can occur. My brother described it to me like trying to pass a can of tuna through your renal tubes—rather than just liquid passing through, you now have these thick proteins that can obstruct the passageway. Thankfully, in most cases, renal function will return to normal—only four percent of cases require dialysis. Still, I worried for his well-being and couldn’t believe one Saturday afternoon exercise class led to such a serious problem. Given the circumstances, I wondered the likelihood of, well, anyone else coming down with this condition. To find out some answers, I spoke with Clifford Stark, DO. “Anyone can develop rhabdomyolysis from a spin class, though an untrained individual who progresses too rapidly in his or her workout is at greater risk. The larger the muscle being exercised, the greater the possibility of developing rhabdomyolysis,” he explains. So how do you prevent this from happening in the first place? According to Stark, slow and steady wins the race. “Make sure to progress slowly and gradually with exercise programs and avoid rapid increases in intensity and/or duration. It’s also best to avoid extreme temperatures, especially in association with rigorous and prolonged exercise. Staying well-hydrated is also very important—this is best accomplished by hydrating well in advance of the activity, rather than playing catch-up,” he explains. You’ll also need to be conscious of certain medications, which can be a catalyst for the condition. “Many prescription drugs may increase the risk of rhabdomyolysis, including a number of antipsychotics, lithium, SSRIs, HIV medications (like AZT), colchicine, antihistamines, decongestants (like pseudoephedrine) and several others. It’s important to mention that many dietary supplements, such as those used for weight loss or as ergogenic aids, which often contain multiple ingredients, have been implicated in rhabdomyolysis, including ephedra, creatine, and large doses of caffeine. Alcohol can also increase the risk.” Uh, good thing I didn’t try and spin after those Bloody Marys. This incident was enough to scare me away from any form of spin bike in the near future, but if you’re thinking of signing up for your first class or doing any other sort of exercise program, just speak with a doctor first and, as Stark said, ease your way into it. For now, I’ll just take brunch—hold the spin. How do you prevent exercise-related injuries? Please share with us below!